The Cam display head by Tech Lighting combines minimal design style with high-functionality. This unique display head rotates a full 360° and pivots at 90° allowing for direct light beam in the desired location. The Cam is available in two on-trend finishes and four distinct stem lengths. This low-voltage display head is compatible with a myriad of accessories and systems available by Tech Lighting that further enhances its performance and style. This dynamic display head is ideal for commercial lighting applications such as retail stores, libraries and galleries. 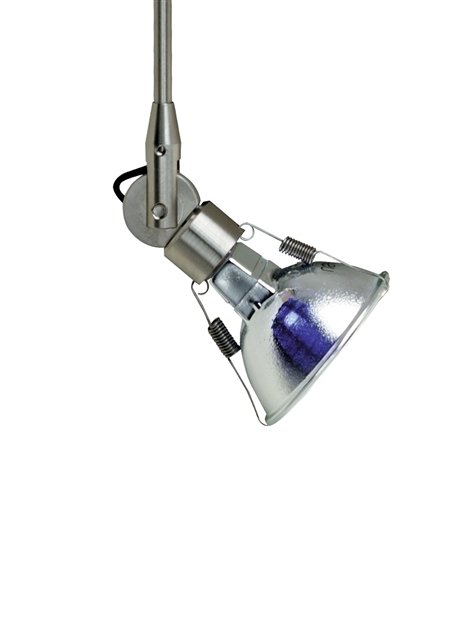 The Cam accommodates a fully dimmable MR16 lamp (sold separately). Low-voltage, MR16 lamp of up to 75 watts (not included).